This Safari break is designed as a high quality, self drive, year round option for the wildlife enthusiast who would just like to experience the South African bush alone or with their partner. Although we recommend a 3 night break to maximise your experience we can offer any number of nights as preferred. Jock Safari Lodge is the first private concession established in the Kruger National Park and offers Game Viewing of the highest quality in their private concession area as well as the greater Kruger National Park. For the adventurous looking for a hands on wildlife walking safari try the Explorer Camp option (April to end October only). A two day Walking Trail Safari under the expert guidance of highly specialised Game Rangers. The five star Jock Safari Lodge has breathtaking topography and is set between 2 pristine rivers (the Mitomeni and the Biyamiti} originating within the borders of the Kruger National Park. The rivers flow only if there is enough rainfall. concession set in over 2 million hectares of Kruger National Park. Guests get to relive one of South Africa’s cultural heritages through the story of Jock of the Bushveld and original mementos can be found at the main lodge. 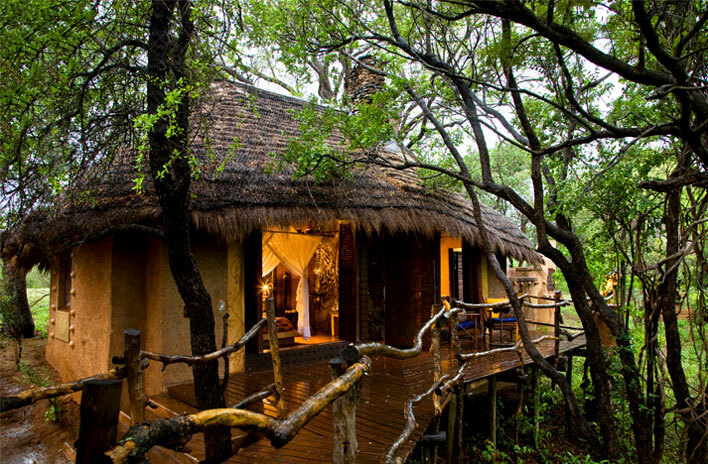 A secluded wildlife paradise overlooking serene river beds Jock Safari Lodge is carefully screened by lush trees and reed walls, with 12 individual thatched rooms that impart a sense of aloneness and oneness with the landscape. 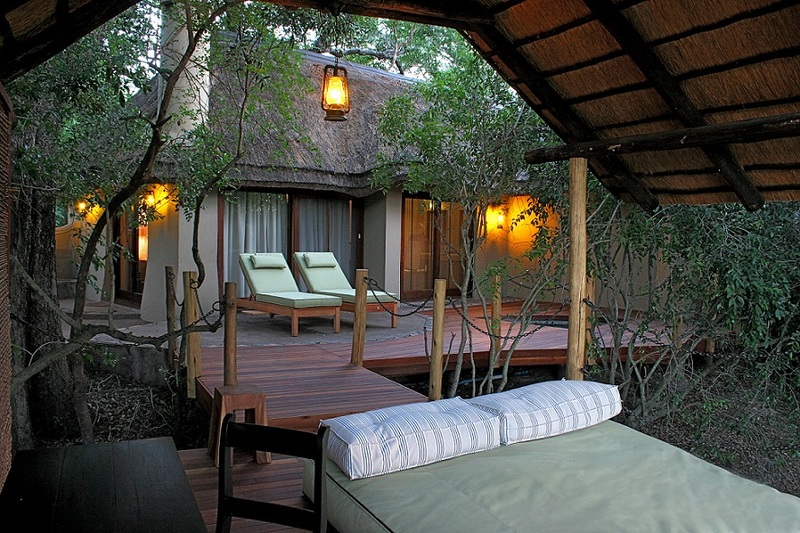 Guests have the choice of the main Jock Safari Lodge or the smaller Fitzpatrick Lodge which can cater for children. The luxurious rooms have king sized beds and sleep a maximum of 2 adults per room and the lodge also has a steam room, sauna, exercise room, indoor and outdoor dining facilities, a library with TV, DVD player and wi-fi hotspot, pool with deck and Internet access. Morning and afternoon Game Drives are in open vehicles under the guidance of an expert Guide and Tracker. Guided Game/Nature Walks with Qualified walking guides provide the opportunity for guests to experience the excitement of approaching species on foot. During the winter months, between April and end October, Jock Safari Lodge offers guests a unique experiential insight of a bygone era, a time when exploring really was an adventure into this unknown Big 5 wilderness with their Explorer Camp – a 2 day educational, walking safari, lead by two highly specialised guides. The camp and tents have been meticulously recreated with the similar style camp beds, canvas washing basins, lanterns etc in order to transport guests back in time. Nights are spent around the camp fire enjoying hearty bush meals whilst learning more about the history of Jock of the Bushveld, Percy Fitzpatrick and how the Kruger was born. During the day, guests explore on foot, a remote part of this private concession in the heart of the Kruger National Park, to get a real sense of how trekking was done during the early days of exploration – a tribute to the original and authentic African safari adventure.